In the '80s, I remember watching the Captain Power VHS video being played in toys departments. "Check your power points." 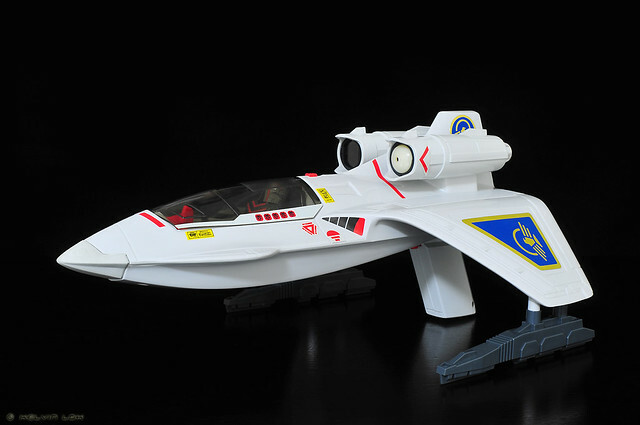 Kids will be using this Powerjet toy to shoot at the video to score points. 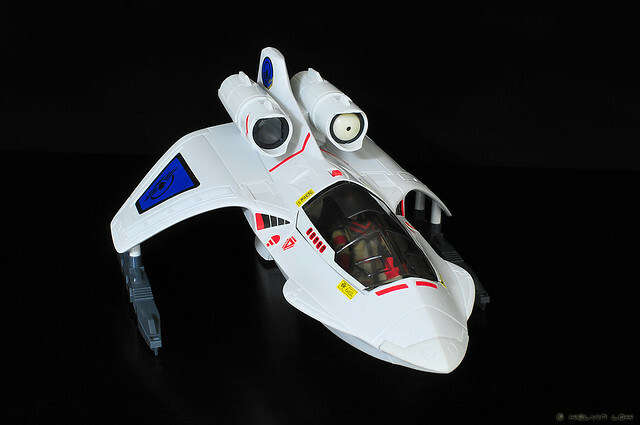 I never did own any Captain Power toys, but I do like the Powerjet as well as the bad guys' Phantom Striker. 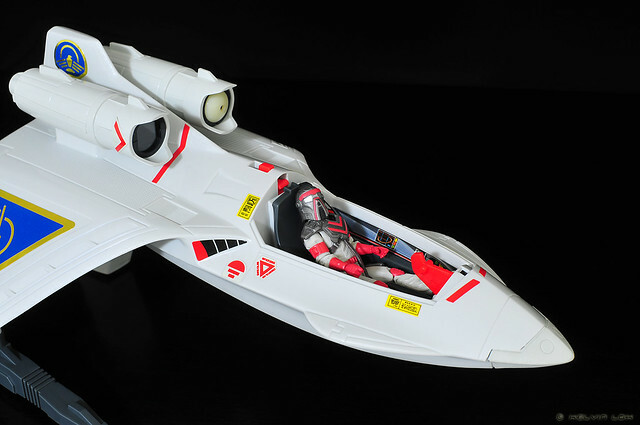 During my trip to Toyko Japan in 2010, I managed to score a vintage Japanese version Powerjet XT-7 at very good price! Although it took up a large amount of precious luggage space (hee!) I had to have it. I got a complete set with box and stickers. Reason it was cheap is because the electronics no longer work. Understandable for a 20+ year old toy. Anyways I don't think I can find the VHS tape to blast with anymore! I love the design of this jet, even now. I rate it high on the swoosh factor! 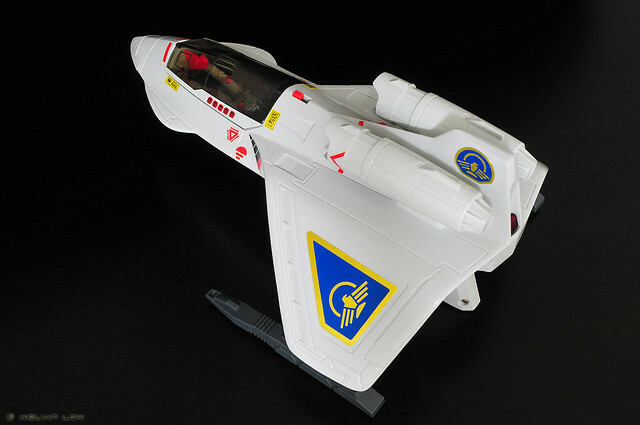 I don't have any Captain Power figures, but it can take standard 3.75 to 4" figures in its cockpit. Like this Specialist Trakker G.I. Joe figure. My next trip back there, maybe I'll hunt for the Phantom Striker!